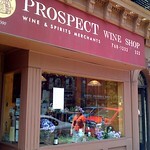 Prospect Wine Shop is an independently owned wine business located in Park Slope, Brooklyn. The shop sells and delivers organic and bio-dynamic wines to residents of the neighborhood. They offer wine tastings every Saturday afternoon from 4-6PM. 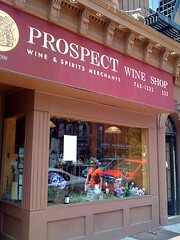 Prospect Wine Shop is located at 322 7th Avenue and can be reached by taking the F train line to 7th avenue. Stop by and quench your thirst, but remember, many impacts - water, transport, changing growing seasons - are in each bottle of wine. Drink with care, please.